Instead of a traditional rocking horse for the Royal Nursery we designed a rocking unicorn. Set in a perpetual circle like Leonardo da Vinci's Vitruvian Man it is a more contemporary design and the unicorn, a fitting symbol for a Royal child. Hand made in oak with a leather saddle the horn is finished in silver gilt. Available as a limited edition please contact Christopher Prain at Christopher Chanond at cp@christopherchanond.com or 020 7351 58 68 (00442073515868) for further details. Christopher Chanond design their version of the Royal Nursery for Hello magazine published on Monday the 22nd April, with a completely bespoke range of furniture, wallpaper, lights, rug and upholstery. The design is inspired by Jules Verne’s Around the World in 80 Days. The silk rug on the floor is an 18th Century map of the globe. The walls are lined with a specially commissioned wallpaper called Les Animaux, from De Gournay and designed in conjunction with Christopher Chanond with each of the 4 walls representing The Americas, Africa, Asia and Europe.The ceiling represents the skies and has a cluster of tiny pin- prick LED lights to create a starfield. The pendant light is a flotilla of hot air balloons hand blown in glass and reduced to a sculptural element. The armoire is veneered in English hardwoods and is a continuation of the pattern of the wallpaper. The steamer trunks under the windows are for storing toys and for dressing up clothes. The castle is based on a traditional helter skelter with the 4 flags of England. Wales, Scotland and Ireland flying high. We have specifically left the middle window without a window seat as we know children like nothing better than looking out of a window to what’s going on.. The second strand of the design represents a number of symbols of the heritage of the Royal family and the United Kingdom. The rocking horse is actually a unicorn set into a perpetual circle based on Da Vinci’s Vitruvian Man, creating a modern version of the rocking horse. The unicorn is represented in the Royal Arms of the United Kingdom. The table is made out of an oak trunk that has been finished in gold. The table is low enough for a child to sit at and the oak tree is a symbol of England and of course, strength. The rocking chairs and cot are also made in oak that has been bleached white and utilise the patronage of the Royal Family commissioning traditional craftsman in the United Kingdom but in a modern design. 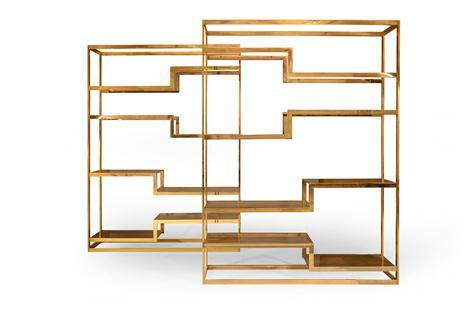 Etagere coming up for sale on the 20th March in Paris. We are busy with a small London flat - and we are creating an extra 'bed' by putting in a day bed...in a small drawing room which will also be 'extra' seating..
A rosewood drum table c.1810. Possibly the best 'flat pack' design...by clever clogs, Robert van Embricqs..